Oat — Our oat muffin is a moist mix of healthy ingredients, delicate yet hearty, topped off with a crunchy, buttery streusel topping! 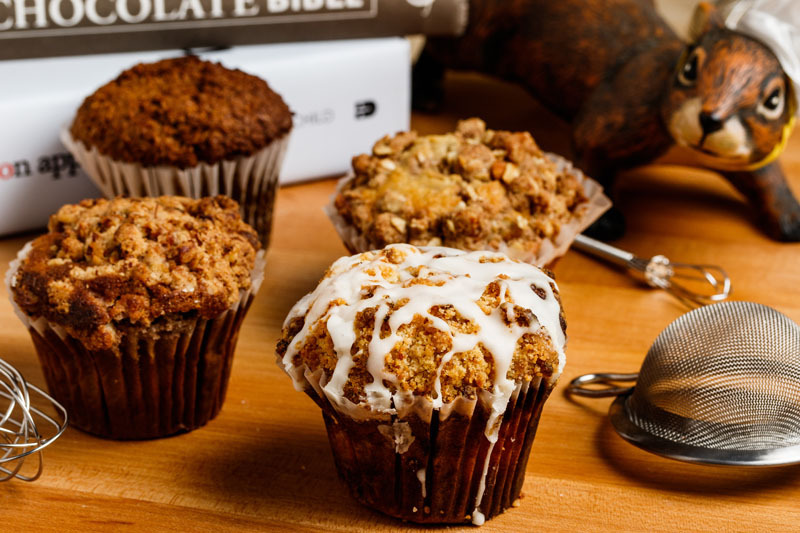 Bran — A classic All‐Bran muffin with hints of molasses and honey, perfect warm with a smear of butter! Fruit — Our fruit muffin will change with the season, but will always feature the best the South has to offer!